An artist's illustration depicts a quasar in the center of a galaxy that has turned on and is expelling gas at high speeds in a galactic superwind. 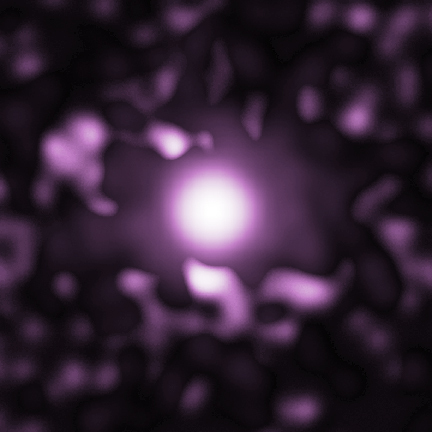 Clouds of hot, X-ray producing gas detected by Chandra around the quasars 4C37.43 (shown in the inset) and 3C249.1, provide strong evidence for such superwinds. The X-ray features seen at five, six, ten and eleven o'clock in the 4C37.43 image are located tens of thousands of light years from the central supermassive black hole that powers the quasar. They are likely due to shock waves in the superwind. 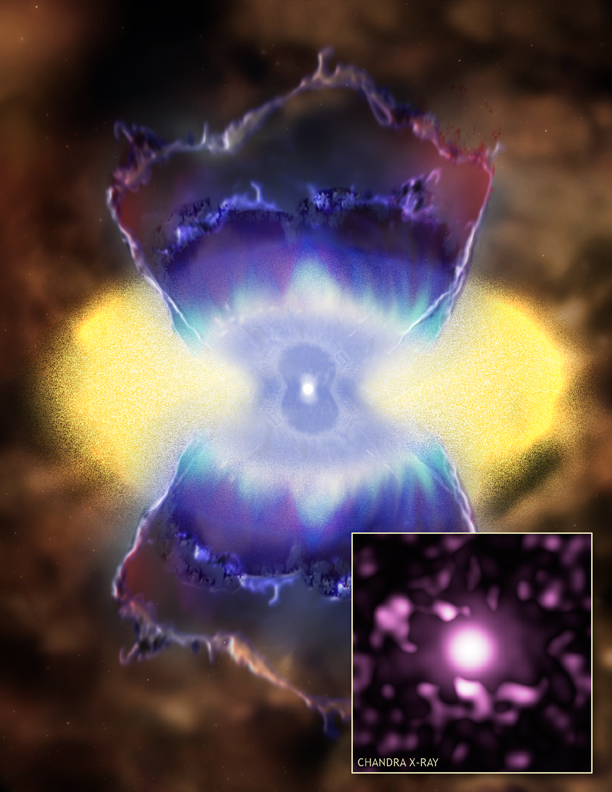 Credit Illustration: NASA/CXC/M.Weiss; X-ray inset: NASA/CXC/U.Hawaii/A.Stockton et al. Coordinates (J2000) RA 15h 14m 43.10s | Dec +36° 50´ 50.50"